The Winnipeg Wesmen basketball teams learned their playoff fates late Saturday night and one team will begin the post-season at home. 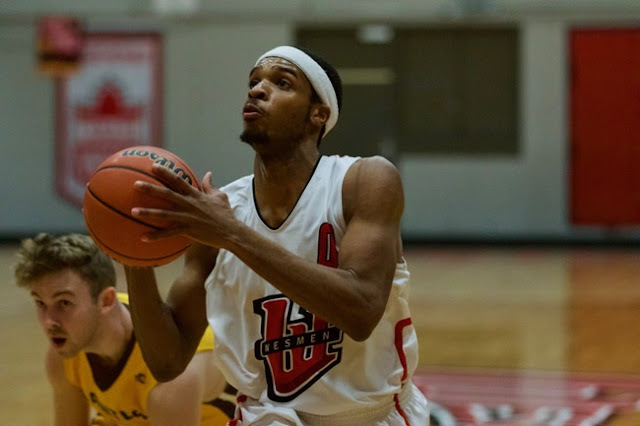 The Wesmen men's basketball team, which finished the Canada West conference season with a 13-7 record and sixth in the standings, were re-seeded as the No. 7 team based on RPI and will host the Manitoba Bisons (10-10) in a one-game first-round series Thursday (7 p.m.) at the Duckworth Centre. The top 12 teams in the conference make the playoffs and seeding with RPI is then done to determine the bracket. The teams split their season series with the Wesmen dominating in a 97-75 victory on Thursday at home, and the Bisons responding with an 81-78 victory Saturday at U of M.
The women's team, meanwhile, will head on the road as the 12-seed and take on the UBC Thunderbirds in Vancouver Saturday afternoon (4 p.m. Central). The Wesmen women finished 8-12 and closed the season with back-to-back wins over the Bisons. They finished ahead of U of M in the conference standings but ended up being behind the Bisons based on RPI. UBC finished 14-6 but was 4-4 against playoff teams and 10-2 against teams that didn't make the post-season. Winnipeg and UBC did not play this season. The Wesmen swept the T-Birds in two games in Winnipeg in 2017-18.